AAUW-PA has established several awards to honor the contributions made by individuals and branches in the state each year. 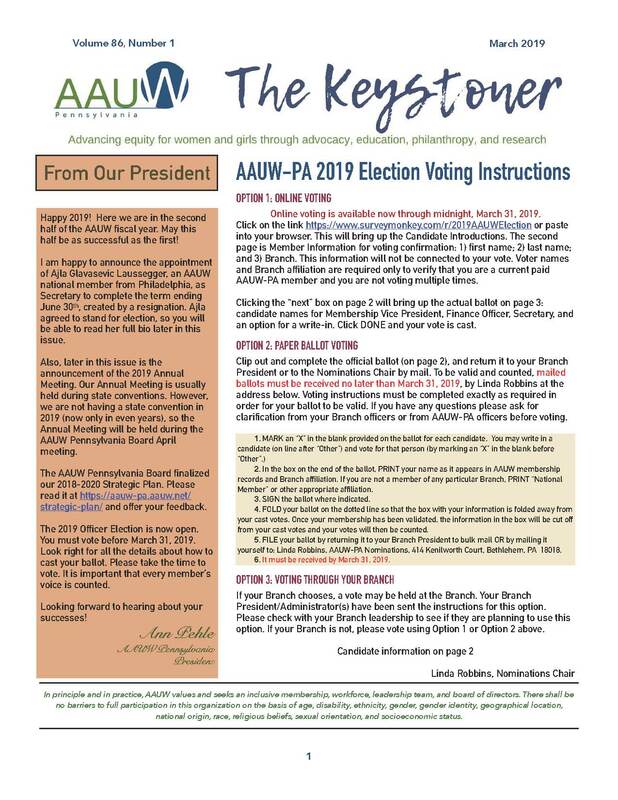 Individuals, groups and/or branches are recognized at the AAUW-PA Annual Meeting, and are included in the AAUW-PA Annual Yearbook. In odd years, when an Annual Yearbook is not published, the honorees will be featured in the May Keystoner. Branch Highlights are suspended in odd years. Click on the Award for more description and submission information. All submissions are due by February 15th.